Moderator: Hey out there! This is your ROCKLINE online host here to tell you...that ALEX LIFESON (you may know him from RUSH) will be here momentarily to take your questions...and tell you all about his first solo release, "VICTOR." Hang on to your hats! Get your questions for ALEX LIFESON together and send them in NOW using the "INTERACT" button. Alex wrote and recorded most of VICTOR by himself, but he brought in a host of session players to cut certain tracks. Edwin, Les Claypool, Bill Bell, Peter Cardiali, blake Manning, and Dalbello each contributed. By the way, 1996 marks the 20th anniversary of RUSH! Twenty years! Think of it-- twenty years of RUSH!! Last year, when RUSH took a solid year off, Alex took the opportunity to explore solo work. The result, as you may know, is VICTOR. Question: so is rush recording a new album???? Question: Hi Alex, this is Dave. Victor is an incredibly great CD! Stewart from the "Spirit of Rush" (UK) says "hi". My question is... How much influence did your son Adrian have on the two songs he contributed on ("At The End", and "The Big Dance")? Question: If your solo album surpasses anything you've done with Rush, will you take anything back to the band, or will you continue to do things the same? Go Wings!! Alex Lifeson: Rush always tries to move forward and be progressive. What I do on my own is really just for me. Question: How many albums do you feel Rush as a band has left? Question: Are you going to tour outside of Rush this year? Alex Lifeson: I'd like to take Victor on the road, but scheduling makes it difficult for everyone to participate. Question: is it true there is a tribute album in the works?? Question: Any plans for Victor to play a couple of small shows, say, at the Orbit room? Alex Lifeson: Not that small, but if at all possible, I'd like to take it out and do a very short tour of a number of key cities and try to do multiple shows, but only if we can arrange to have everyone work on it together, which at this point is a little unlikely, but you never know. Question: ALEX, IS RUSH PLANNING A TOUR SOON? Alex Lifeson: We haven't brought up the T word yet, we want to get this record recorded, and then we'll see. Most likely sometime in the fall. Question: Why such a dark and somber mood for the new album? Alex Lifeson: I just wanted to create something that would require the listener to get a little more involved, Victor to me, like Rush records, draws the listener in and you get a lot out of it. I felt that dealing with some of the things I dealt with on this record, demands more of the listener. Question: why didn't you sing on victor?? Alex Lifeson: I did. I did spoken word on Victor at the end as well as singing at the end and I sang on the choruses of Big Dance. Moderator: We're talking with ALEX LIFESON about his new solo release, "VICTOR," here on ROCKLINE ONLINE! Question: when is the new Rush album going to be completed? Alex Lifeson: Hopefully, the middle of April. Question: Why did you choose Edwin as the main singer when there are so many more talented vocalists out there? Alex Lifeson: Edwin's great. Edwin suited the songs. Alex Lifeson: Thank you. No, she has her own album coming out shortly and her own many many commitments. Question: Can you describe the inspiration for the "Bravado" solo? Was that spontaneous or did you have a basic idea in mind before you went for that one? Alex Lifeson: No that was very spontaneous. I had recorded that one evening when I was on my own as a demo solo. When we were writing the song, we all grew to love that solo and it just stayed right till the end. Question: Are you going to be appearing at the orbit room again anytime in the near future?? Alex Lifeson: probably not until after April only due to the scheduling for this record. Alex Lifeson: We don't argue, we discuss. Question: what are your favorite bands?? who is your inspiration?? Question: Mr Lifeson ... first congrats on the album ... what was the most rewarding part of the process for you? Alex Lifeson: Completing it. After having gone through ten months after working every single day on, it was a great sense of accomplishment. Question: when yuo wrtite, what comes first, bass??? guitar?? or both at the same time? Alex Lifeson: At the writing stage, usually the guitar becuase that is what I write on. When I start recording. I do the bass parts before the guitar but after drums. Question: Do you plan to do any Lyric writing For RUSH in the future now that you have written VICTOR? Alex Lifeson: No. That is definately Neil's domain. Question: Alex, any plans for further alblums, and what kind of response did you get from Geddy and Neil on Victor? Alex Lifeson: Very positive, very supportive. Question: Dear Alex, thanks for coming on to do this, what a treat! I've always been a fan of your 'acoustic' side with Rush, and was pleasantly surprised to hear you play the mandola on 'Strip And Go Naked'. Care to share where you got it, and the brand name, etc.? Question: are you happy with the way victor turned out? Alex Lifeson: Like anything, I would probably do things a little differently, but for what it represents, I am very happy. Question: Did you get your idea for the song "Victor" some time ago from reading Auden's poem, or did you happen to be more inspired by the O.J. trial? 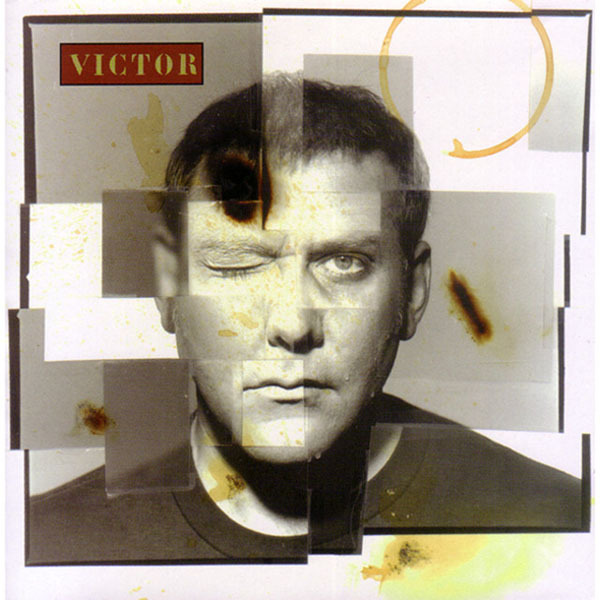 Alex Lifeson: Neither really, I had written the song and decided to read a poem over it and opened the book to the poem "Victor" and thought it suited the album very well. Question: what is your favorite rush album?? song?? Alex Lifeson: I have favorite bits and peices from many songs, but not one overall favorite. You haven't heard it yet. Alex Lifeson: Somewhat. I really like the impact and power of Trent's writing and in that sense, it was an inspiration. Question: Where can we find the Rockline conversation with Mr. Lifeson of RUSH? Alex Lifeson: Well.. LIke most videos, it just has to look good. Question: IIF YOU ARE TOURING, IS IT GOING TO BE WITH PRIMUS AGAIN? Alex Lifeson: Hard to say. They do most headline tours no, so we probably wouldn't. We still keep in touch. Question: Why didn't you name it Alex Lifeson's Victor? Alex Lifeson: I see my name on the record enough as it is and the contribution that all the players made made me want to make it a band effort and to really acknowledge their work as well. Question: What does the new Rush album sound like, stylistically, and when should it be released? Alex Lifeson: Hard to say at this point, but it is more of a continuation of Roll the Bones and Counterparts, but much stronger. I think it is going to be great. Question: Alex, how much of "RUSH" will we hear in your solo album? Did you make a conscious effort either way to maintain a similar sound or to musically set your solo sound apart? Alex Lifeson: I didn't think of RUSH at all when I made my record. This was my own little journey that was very unrelated to the band. Question: alex-what is it about rush that has kept u guys together 4 so long, and always putting out quality work? Alex Lifeson: Number 1, we laugh a lot toghether and that is what has really kept us together and Number 2, we've always had the freedom to write the kind of music that we've wanted to and have always been satisfied with that. Question: What was it like recording with your wife? Alex Lifeson: It was alot of fun.. I got to yell at her and got away with it. Alex Lifeson: Hope to see you all real soon on the road. Moderator: That went by in a flash, didn't it? That was ALEX LIFESON of VICTOR and a little band called RUSH!!! Thanks to all of you for coming and for all the great questions! AND thanks to ALEX LIFESON for spending the time! Be sure to tune in ROCKLINE in about 20 minutes on your local affiliate! Call 800 344 ROCK to ask Alex a question LIVE on the air! Thanks again, and we'll see you next week! See ya!